I have just finished reading Jo Nesbo’s The Leopard, starring the ever dependable, alcoholic and stoned police inspector Harry Hole and as with previous Jo Nesbo novels, I am completely blown away. In recent times, crime thrillers have become ubiquitous with authors from the Nordic countries which is quite a paradoxical thing if you look the societies in which such novels are based. Stieg Larsson’s The Millennium Trilogy arguably the most famous of the Scandinavian crime thrillers and easily the most influential, was, in my opinion, the series that started it all. Starring possibly the most original character in recent times, the dysfunctional hacker Lisbeth Salander, The Millennium Trilogy is highly dystopian and speaks of a country (Sweden) controlled by robber barons, corrupt politicians and secret service agents, and populated by neo-nazis, misogynists and wackheads of every possible kind. Jo Nesbo’s Harry Hole books likewise speak of a Norway filled with serial killers, drugs and an ever present sense of doom. Add to that the border-line psychotic nature of their protagonists and you have an explosive combination of gore, lunacy and conspiracy theories set in (atleast from the perspective of an Indian) possibly the most boring region in the world (barring Vanuatu, but the Vanuatu atleast has beaches). But why? The dystopian nature of these novels contrasts very interestingly with the image we have of the near-perfect Scandinavian countries which have perfected the ‘third path’ of structuring politics, economics and society. Robber barons and a highly secretive government? A region filled with misogynists? Underground wars? In Norway? and Sweden? Really? Scandinavia has always been characterized by abnormally open governments, near-equality for women and so much of peace they give out the Nobel Peace Prize. It makes one wonder, what really was the inspiration for these authors? Did they really have to imagine almost everything in their novels? But then, like Jo Nesbo’s book you realize that everything you know about these countries is a red herring. This is not to say that Sweden, Norway, Finland and Denmark are not near-perfect, they are. But that is exactly the point, they are near perfect. 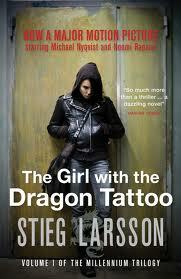 It is in the 10% of imperfection that Lisbeth Salander and Harry Hole thrive. This imperfection is filled with gang wars, immigrant populations and resultant racial tensions and as the tragic incident of 2011 where a neo-nazi shot down 69 teenagers in Norway shows, a certain amount of Neo-Nazism and flash images of a repressed section of society. Stieg Larsson was a journalist who specialized in neo-nazis and had gotten a number of death threats as the editor of the news magazine Expo. Jo Nesbo too worked as a journalist before he took to writing fiction full time. Arguably, they would have encountered atleast some of the stuff they put into their books first hand. Scandinavian crime thrillers should therefore be looked upon not only as fantastic books by themselves but also as a window into a side of Scandinavian society we rarely get to look at. Placing these books in societies where you would never expect such stuff to happen in real life makes them all the more fascinating to read. I also think that apart from the 10% imperfection that their societies have, Scandinavian authors can belt out such stunning crime thrillers because 90% of their society is perfect. It is no fun to write about a place in which everything and everyone is taken care of and even less fun to read about such a place. All said and done, I imagine that life there must also have a peculiar kind of drudgery, the drudgery of having everything. And since real-life inspirations are not readily available, these writers need to push themselves that extra mile to make their novels that much more interesting for their own audiences. They dig and bring out the most messed up thing they can find and then make it more messed up before presenting it to us. Their heroes, I feel, are an escape route used by the authors to break away from monotony. That is why they are never perfect. That is why they come nowhere close to being even half-sane. They are alcoholics and junkies, loners with a death wish and a craving for adrenalin. Not heroes, just protagonists. Add to this their forested, mountainous landscapes, which somehow always seem to bring out dark stories- refer to the stories by The Brothers Grimm, most of which are set in and around the Black Forest in Germany, their folklore rich in tales of imperfect heroes and wily demons and you have some amount of an idea of how they can write such stories so well. But then again, all this is mere speculation and I have absolutely no idea how Sweden/Norway/Denmark/Finland actually is nor have I ever spoken to these authors. All that matters at the end of the day is that they are all bloody good and I am off to start my (non-homosexual) romance with another alcoholic police officer who has been called upon to solve a spate of murders in small town Sweden. P.S. The book I am referring to above is Book 1 in the Kurt Wallander series by Henning Mankell.